There were spirits that being incarnated stood out for their mercy and excelled for their great service to humanity. When they disembodied, their own"spiritual brightness" raised them to a higher plane of Light. These are the so-called Ascended Masters or Masters of Light. One of the best known Ascended Masters is the Master Saint Germain, who recently was the guardian of the Violet Flame, a distinction that was inherited from the sublime Kwannon until Johnakan Ur-El, the twin soul of the Master Jesus was elected as the new director of the Seventh Ray. The Violet Flame represents the ceremonial order and ritual magic. It is said that the flame has the power to transmute karma, and it’s also known as the Transmutation flame; however, it was revealed in one occasion that: "Karma is a lesson that must be learned and it cannot be transmuted or healed otherwise where would it be the lesson?" The Master Saint Germain had several past incarnations as: Hiram Abiff, Lazarus, St Alban, Francis Bacon, Roger Bacon, Christian Rosenkreutz and Count Saint Germain, son of Prince Rakoczy of Transylvania. His virtue is the ritual and ceremonial magic. - "Is there anyone among you who has the same spiritual stature to occupy the place left by Siddhartha?". - "I suggest that we follow the teachings he left... and his example of life. The precepts of Siddhartha are now our guide." Johnakan Ur-El incarnated almost 500 years later as John Zebedee, the dear disciple of Jesus. There was noone better than John to understand Jesus. His loneliness, when the Apostles did not understand his message. His sadness, when seeing that men did not allow him to alleviate their sufferings. His pain, when he noted that betrayal was inside his group. His strength, to overcome ego that wanted to have control over him. His fear, when it had control over his human body. His love, which John also felt in spiritual resonance. Johnakan Ur-El witnessed that. He was director of the Sixth Ray Ruby, until he was replaced by Master Sankara. Meanwhile, Johnakan Ur-El took care of the Violet Flame. His virtue is Devotion and Idealism. Today he’s incarnated and his mission is to spread the gospel of the Third Millennium, which does not change any word of the Scripture, but improves the messages. Now I want to talk about El Morya, former director of the First Ray, which was inherited by Eloah Yahweh. The Master El Morya is the chohan of the Temple of Goodwill, and in a past life he was the poet Sir Thomas Moore. Although the First Ray is not currently in effect. El Morya delegated the Sapphire Blue Flame of Power and Will to the Master Kuthumi. The virtue of El Morya is inspiration. Another of the Ascended Masters is the Buddhist philosopher Nagarjuna, who developed the concept of shunyata, "emptiness" or "voidness." He is considered one of the fifteen greatests philosophical figures in the world. The emptiness is absolute knowledge, which does not use concepts being beyond discrimination. Nagarjuna lived in Southern India in the second century AD. The Master showed the following example: Fire will not burn if firewood is not lit, so it needs firewood to exist. In addition, firewood could not be called firewood if there was no fire, without it , it would only be characterized as common pieces of wood. Nagarjuna reached the conclusion that it can be said that fire and firewood have an independent existence of each other. But at the same time we cannot say either that they do not exist at all. What is the answer? They both exist in the state of "emptiness" and they need each other in order to have real existence. To reinforce the concept, he presented the following parable of the Chinese philosopher Chuang Tzu (fourth century BC): "If a man crosses a river and an empty boat collides with his own skiff, Even though he be bad tempered man He will not become very angry. But if he sees a man in the boat, He will shout at him to steer clear. If the shout is not heard, he will shout again, and yet again, and begin cursing. And all because someone is in the boat. Now imagine the same situation, but the boat that comes at us is empty. Who would be warned? Against whom would you be mad at? What teaching this parable gives? Let’s meditate: If you sail "empty" through the river of life, without an "I" inside the boat, there would be no cause and effect of suffering. The implementation of "emptiness" has the objective to eliminate the suffering that the attachment of an “I” brings. Without Nagarjuna’s influence, Buddhism would have been relegated to cloistered monks in a monastery, who only seek their own spiritual progress. The great philosopher Nagarjuna said that true spirituality was "sacrificing the very illumination" in order to help the progress of others through preaching and guidance. The virtue of Nagarjuna is reflection. One of the most excellent teachers is Lao Tzu, Chinese philosopher, founder of Taoism, whose teachings are found in his work Tao Te Ching. He had some conceptual divergences with another Grand Master: Confucius, whose real name was K'ung fu tzu and wrote, among others, two most fundamental works for posterity : The I-Ching or Book of Changes and The Dialogues, which are mostly conversations with his disciples and it reflects their thoughts. The Creative with will and perseverance achieves the success of the spirit. The Rise of the being is so important that its main goal is Service. The Creative is the start to which all things owe their beginning. The Creative is the virtue that covers the entire Universe. It is a spiritual force that makes men strong and tireless. The way of the creative works through modification and transformation so that each thing acquires its right nature and design, and thus achieving permanent agreement with Great Harmony. Here it is the auspicious and tenacious. Transferred to the human field, these qualities show to the great man his way to success. As a pathway towards achievement, appears here the recognition and realization of the meaning of the universe, as for perennial law and, through ends and beginnings, gives origin to all conditioned phenomena caused by time. Thus, every stage reached becomes at once in preparation for the next stage, and so time is no longer an obstacle, but a mean for the realization of the possible. " The thinking of both teachers was different, although both were seeking the spiritual Path. Lao Tzu despised the earthly values and stayed away from society seeking pure and absolute values. Confucius, on the other hand, did not flee from the contact of common and rich people in order to be able to change the way of thinking of his environment and provide comfort to the people. - Leave this life of vanity and excessive ambitions because it’s not beneficial for you. But Confucius wanted the power to propitiate his righteous doctrine. He was concerned about feeding children who were suffering of extreme poverty, he gave clear rules, but he never neglected rites and religious ceremonies. - Even if you speak truth, do not you dare to criticize the powerful people, it will jeopardize yourself. Beware of pointing out the defects of the corrupts. But Confucius didn’t stop his intention. He still believed in the positive values of the visible world. - If I get away from the company of men ... Who could I live with? Confucius didn’t want to establish any religion, but rearrange society and lead it to the path of good principles. Lao Tse disbelieved moral values and he proclaimed that everyone should seek on his own the path of humility, putting aside ostentation and personal desires. Confucius and Lao Tzu were two individuals who sought the Path of Light with different methods. The virtues of Lao Tzu are determination and perseverance. The virtues of Confucius are Service and Education. In addition, the Master Confucius inherited from Christ the Second Ray, representing Love and Wisdom, the same virtues instilled by the Master Jesus. Later on, Confucius delegated the Second Ray to Kuthumi, who, when he took care of the Blue Flame Sapphire, left as the new director of the yellow ray to Master Djwal Khul, known as "The Tibetan." It is remarkable the Ascended Master Quan Yin or Kwan Yin, also known as Avalokitesvara. She was considered a Bodhisattva, a word that means "one who gives up his Holiness in pursuit of Love and Universal Benevolence." The virtue of Kwannon is Mercy and she was the first director of the Seventh Violet Ray. The Ascended Master Lady Rowena is the current director of the Pink Flame. The Third Ray represents the Active Intelligence and Love that sustains the physical universe and in one time it was led by the Ascended Master "The Veronese", who in his last incarnation was the painter Paolo Caliari, a great painter who painted, among other works, The Wedding at Cana and the Feast at the house of Levi. When "The Veronese" was elevated from vibrational plane, the position he left was entrusted to the Ascended Master Lady Rowena, who to this day continues with it. Lady Rowena taught that Love sets free the human being because it gives him the power to forgive, setting him free of hatred and resentment. Hatred prevents spiritual growth and slows down the ascension to Light. Love makes us closer to God since it makes a person to be concerned his fellowmen. Lady Rowena’s virtue is Charity. A remarkable spiritual being is Kether, according to Kabbalah, he is the first Sephirah, the most elevated of divine emanations. Kether had his last incarnation in Ani, the 4th planet of the star Ursae Majoris 47, at 35 light years from our solar system. He was named as the Ancient of rotations. On Earth Kether is known as "The Ancient of Days." The inhabitants of Ani have an average life span of 120 planetary rotations (240 Earthly years). In that world they call "Ancient" to those who have an honorary position, not to a person of advanced age. One can be "Ancient" at the age of 30 if the Assembly approves it. According to ancient writings, it’s said that Kether reincarnated for the first time in Venus, where he met Sanat Kumara, who later on became his disciple. Those writings say that Kether was nominated to be Logos of the planet Venus, but he asked to serve their fellow natives on the physical plane and he gave that privilege to his outstanding disciple. Thus, Sanat Kumara became Logos of Venus. Millions of years later, when the planet Venus was changing its atmosphere, Kether and Sanat Kumara embodied on a planet of Proxima Centauri and traveling in an interstellar spacecraft to our solar system, they tried to go back to the “Morning Star”, but there was no life in that world. It’s said that when they came in their ship to our planet and, while Kether was seeking the way to educate the savage tribes of the area, Sanat Kumara gathered much more evolved beings living in the mountains and founded the civilization of Lemuria . Thousands of years passed and they embodied in Atlantis, where Kether intervened in politics on the island more than once to unify criterions. Centuries later, Kether embodied in Ani for the first time and soon after was named Ancient. He ruled the planet and achieved peace on it, after many rotations of continuous warfare. In the spiritual plane, Kether is the new planetary Logos of Ani, meanwhile in our world, the Logos is Sanat Kumara. Many centuries passed in Ani and there was a religious schism. Bloody rebellions stained the land of that world. The Highest Entities of Light decided that someone with extreme wisdom should embody to face those problems and also be righteous in the trials and not to commit abuse of authority. Kether incarnated in Ani again and it’s an isolated case that a Planetary Logos embodied in the physical plane. The risk was huge, having no memory of past incarnations, there was no guarantee of success in the mission. Kether was able to lead the union in Ani, preventing that the spiritual schism in the inhabitants of that world was bigger. His intervention prevented a definitive division of the various religious groups in Ani and he continued working towards a global harmony, which was completed almost at the end of his life cycle. The virtue of Kether is Harmony. I mention now the Master Kuthumi, whose real name is Koot Hoomi Lal Singh. This venerable Master was director of the Second Ray, before taking charge of the First Ray and let the Flame Yellow Gold under the direction of Master Djwal Khul. Master Kuthumi is also considered a Bodhisattva. His spirit and the spirit of the Master El Morya can also be seen as twin souls, since they work their inner light almost as a unit, projecting the power of Love upon incarnated humanity. Mainly they act as inspiration of the great politicians of the planet, although many times their ego is so big that little can these two great masters do to correct the wrong decisions that politicians take. The Master Kuthumi is also assisted in his task by three groups of angels, who cooperate with him in mental levels, to strengthen the work of Love and Guidance to the human race, so contradictory and so far from the Light. Kuthumi’s virtue is Philanthropy. "The man evolves in the measure he serves." This is a sentence of the Ascended Master Djwal Khul, also known as "The Tibetan". Djwal Khul is the current director of the Second Ray, and he took care of the position Kuthumi left when he, in turn, was honored with the direction of the Sapphire Blue Flame. It is said that in a past life, this venerable Master was Asanga, founder of the first school Yogacara, which means "The path of yoga." Yogacara is a school philosophy of Mahayana Buddhism, a spiritual line that benefits all sentient beings. It is also said that the Master Djwal Khul has dictated much of the esoteric work of The Secret Doctrine of H.P. Blavatsky and also most of the works written by Alice A. Bailey. The virtues of Djwal Khul are Devotion and Healing. Now I will refer to the Ascended Master Serapis Bey, director of the Fourth White Ray, representing Harmony, Beauty and Art. In a past life, he embodied in Greece, but since his activity was developed mostly in Egypt, Serapis Bey is known as "The Egyptian." Spiritually, this Master inspires all who are dedicated at art in general. He helps those who compose music, painters and artists, and those who are beginners in literature. Serapis Bey also uses part of his time to lift the veil of the angelic world. This Master of artistic evolution also gives great emphasis to spiritual harmony of all embodied beings. The virtue of Serapis Bey is the Angelic Research. Another Ascended Master is Hilarion, director of the Green Flame, the Fifth Ray, which represents Concrete Knowledge and Science. The Master Hilarion was part of a psychic group of investigators and subsequently he initiated the spiritualist movement, devoting part of his earthly life to the knowledge of the spiritual world. He wrote a book entitled “Light on the Path”, an occultist treaty that helped develop intuition to those who consulted it. When Hilarion disembodied he continued working with Devic entities in the astral plane so that those who seek the path of Light did not have the burden of material attachment. In a telepathic message, the Master Hilarion announced that if a person seeks the spiritual happiness, He/She must first understand the power given by the gift of meditation and the effort that means not paying attention to the world of appearances, watching only the Presence of the Absolute in the inner-self of each fellowman. Thus, the Divine Presence would be received in every cell of those who seek the Light, giving the full happiness he/she desires. It is believed that in a past life, the Master Hilarion was Saul of Tarsus. His virtue is Spiritual Research. The Ascended Master Sankara is the current director of the Sixth Ray Rubi, which represents Devotion and Idealism. Replaced in the place by Johnakan Ur-El, who took care of the Seventh Ray. 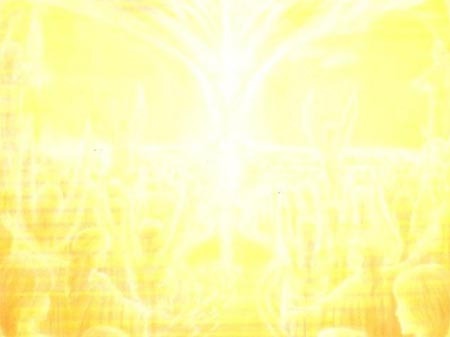 Before Johnakan Ur-El, the entity that directed the Sixth Ray was the Ascended Master Lady Nada, who taught that the Golden Flame brings Peace, Provision and Grace. The Ascended Master Sankara was a religious reformer of India. Great philosopher and teacher of Vedanta, he was specialist in monistic Advaita doctrine. Always defended those schools that denied the identity of beings, for he thought that only a vital principle (Brahman) is existence and that all phenomenal manifestation is only an illusion. Sankara wrote commentaries on the Upanishads, the treaties which are the third and last group of Vedic scriptures of revelation. The Upanishads delve the theological content of this disclosure and they are not a homogeneous group since they have a mixture of hymns, quotes and aphorisms. These writings affirm denial of a visible world, where the only thing real is the Supreme Universal Soul, the Being that exists by himself and is eternal and unchanging. Master Sankara deepened on the roots of Vedanta, he did not take it only as a Hindu orthodox doctrine, but as a philosophical system. He seeked in Advaita branch, which sees only the One under illusory forms. Sankara used to say that the Higher Self of a man was seking identification with the Deity, in order to transcend the real world. The virtue of the Master Sankara is the Philosophical Research. With regard to the Rays, they are energy vibrations used by the Ascended Masters to open the channel of the causal body of each embodied being and thus transmit guidance, comfort and harmony among other spiritual assistance. Source : “Heaven Responds” written by Jorge Olguin. This entry was posted at Wednesday, June 09, 2010 and is filed under Who are they? . You can follow any responses to this entry through the .